Manufacturer of a wide range of products which include baby spoon. we are manufacturers of sterling silver spoons in various designs and patterns as required by the buyer. 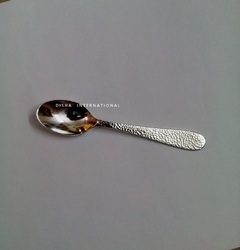 Our spoons are flawless with high polish and for upmarket sales. we can also customize your designs.Spoons are an all time gift for babies to be cherished and remembered through out their life.